I guess it is safe to say that life is good!! 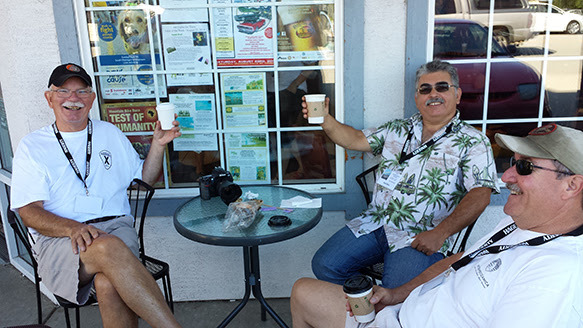 I write this newsletter from the lanai of a long time Intermeccanica customer and friend, Sandy Lynne, in Kihei, Maui, Hawaii! It has been too long since my last newsletter and much has happened at and with Intermeccanica in this time. In brief: Intermeccanica moved premises of over 22 years in August of 2013. Man, there was a lot of stuff and even more dust!! Our current location in New Westminster is about 20 minutes east of the old location along our Hwy #1 and is working out fine. (Still working on setup 1½ years later!) For all of you who have visited, I thank you. For those of you who plan to visit, call me if you get lost! The “new” Intermeccanica premises at the Meccanica Building are coming along very nicely. This space will be a real jewel, thanks to the commitment, great effort and support of Scott Cressey and his whole team on this project. This new building is right down the street from the old shop. Scott has created a new space on the ground floor of a beautiful new, car themed, condo development. This will be the first time ever that the City of Vancouver will allow light industrial and residential spaces to be shared. 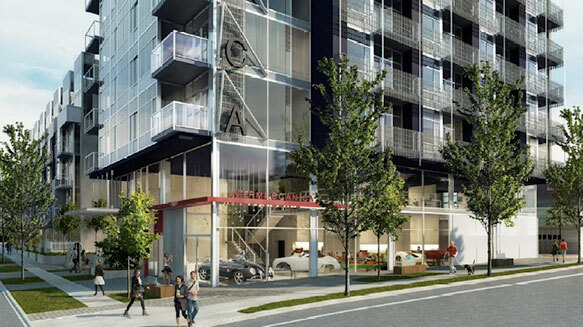 We will have beautiful show room and production space in one of Vancouver’s trendiest new neighbourhoods. Expected completion of the space is summer/fall 2014. More details on this in coming newsletters. Current Intermeccanica production is running about 50% modern liquid cooled and 50% traditional air cooled. Both of these products are evolving with continual R&D on the liquid cooled, including the development of “hidden” a/c and heating systems for a true “original” interior look. We are also working on a new cooling system layout which, if successful, will offer a bigger fuel tank and improved front trunk space. 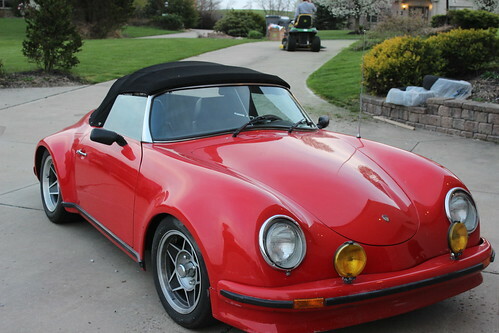 On the air cooled front, we have worked with CB Performance’s more recent generation of fuel injection systems as well as newly available HD aluminum push rods which are a great addition to a proven platform. Contact me for more details. We are currently putting the final touches on our 2014 price lists and will have these available soon. We are planning on offering pricing both in our traditional “à la carte” format as well as the newer “factory spec” format. As many of you may have noticed, we have been asked by the US D.O.T. to improve clarity on our website as to the fact that Intermeccanica only sells coaches or rolling chassis versions of our products into the US market. This has always been the case as we have always relied on US side partners for the supply of drive line and final assembly to our US customers. This is not a change, simply a clarification as required by the US D.O.T. If you have any questions about this please feel free to contact me. Another small change that has taken place is the renaming of our models to Intermeccanica S and Intermeccanica D. Again, this was a voluntary move Intermeccanica has undertaken to clarify any copyright questions that could arise from Volkswagen, the new Porsche parent company. Intermeccanica is undertaking a couple of special projects at this time as a way of testing the market in related automotive ventures.First, we have begun the restoration of a 1967 Intermeccanica Italia for a long time Intermeccanica customer and friend, Gerry. This is our first foray into this field. Progress is steady. We are excited for the prospect of soon seeing this Italia with a fresh coat of paint! This is the first real bridge between the Italian and North American Intermeccanica products and I hope the first of a new line of work for Intermeccanica! 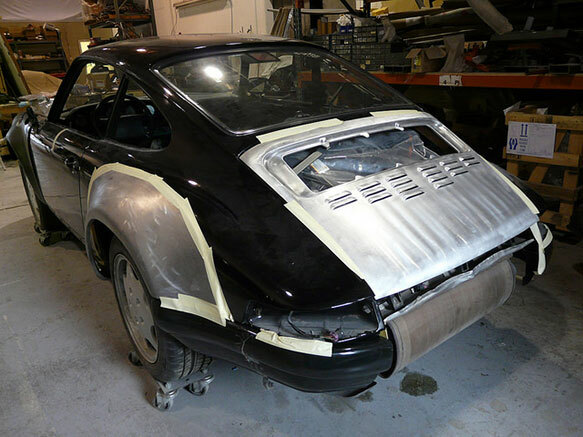 Another undertaking is the “backdating” of a Porsche 964 into a 911 ST inspired hot rod for another long time Intermeccanica customer and friend, Mike. This is proving to be lots of fun. 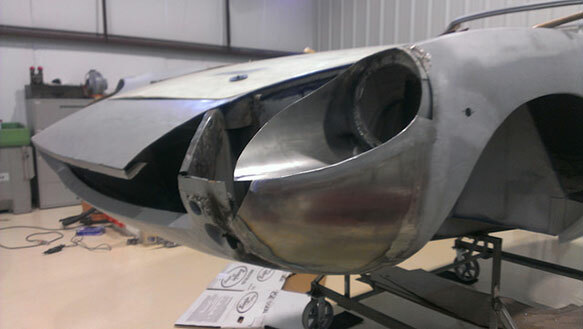 We have just received the new body panels so soon we should see some nice progress on this unique project. If you are interested in further details on either of these projects or have an idea of something you think would be a good match for our skills, please contact me. Smaller projects in process at the shop now include the restoration of a Typ-82 Kubel, an older Roadster, and the upgrade/repair of a couple of older IM products. 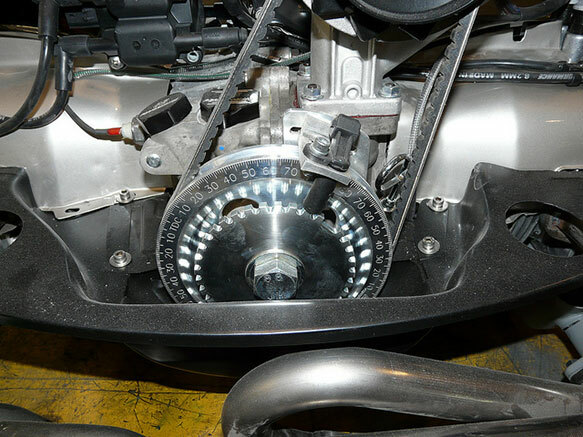 If you have been thinking about having some work performed on your Intermeccanica, please contact me. I would be thrilled to discuss this with you. 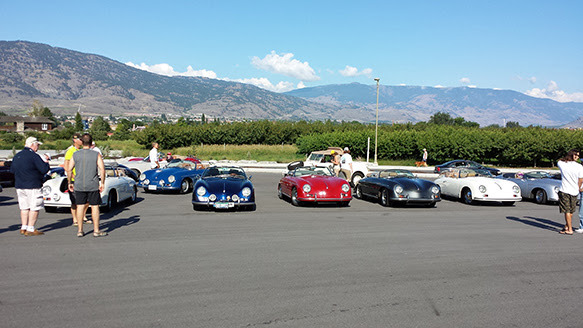 Our 9th annual Intermeccanica Tour took place this past July 12 to 14. We returned to the familiar surroundings of beautiful Whistler, B.C. 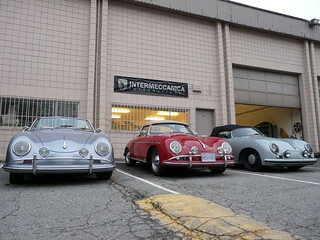 for two days, with a wrap up open house at the new Intermeccanica location in New Westminster. 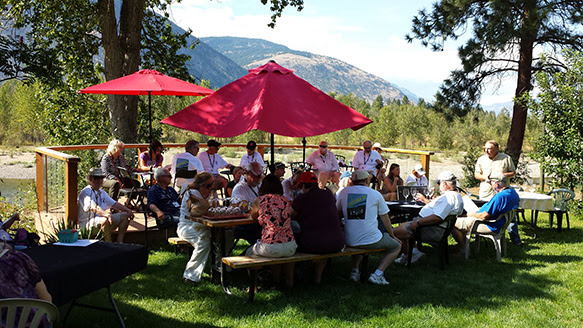 I was thrilled to have such great support from long time IM Tour participants and excited to have so many new friends join us for this event.I am thrilled to announce that this year’s IM Tour will take place August 22nd to 24th, 2014. 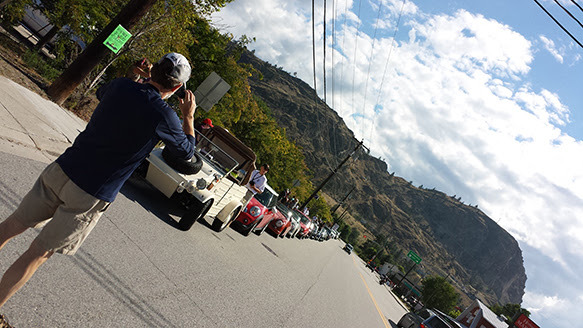 We will be returning by popular demand to British Columbia’s Okanogan wine country for a fun filled weekend of top notch drives & entertaining with our Intermeccanica friends new and old! Please let Robert in our office know if you are interested as we were close to capacity last year. 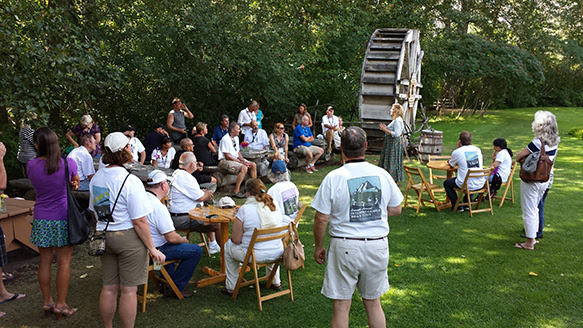 More details around this great weekend will be available soon. To my IM customers and friends on the east coast and mid-west, I want to let you know that I will be back at the Carlisle Import and Specialty Car Show in Carlisle, Pennsylvania May 16 to 18 in conjunction with Michael & David my dealers, Intermeccanica US from Southfield, Michigan. I am already aware of one IM customer making the trek to Carlisle all the way from California! 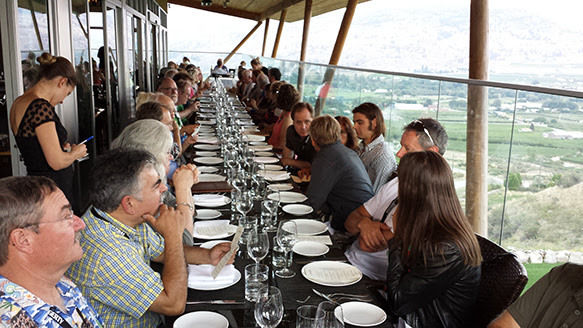 I would love to organize an IM customer dinner for the Friday night, May 16, if there is sufficient interest. Please contact me if you would like to participate in such an event. If you are interested in looking at Intermeccanica’s as well as competitor’s products, and you can make the time to visit Carlisle, you will not be disappointed. If you are coming out please let me know so that we can set up a time to meet.For all my enthusiastic Intermeccanica friends in the UK and Europe, I am thrilled to let you know that I am working with new partners in the London area to bring Intermeccanica products into the UK and hopefully continental Europe. We are trying to do this in a fashion that will make our Intermeccanicas more competitive in the UK and European markets. The first of these products will be on the water shortly. Please contact me for further information.I know that for many of you this has been a long and cold winter, the good news is that spring and all the automotive fun that this season brings is only a few weeks away so if you have been thinking that this is your year to build an Intermeccanica please reach out to me or to Michael in Michigan. 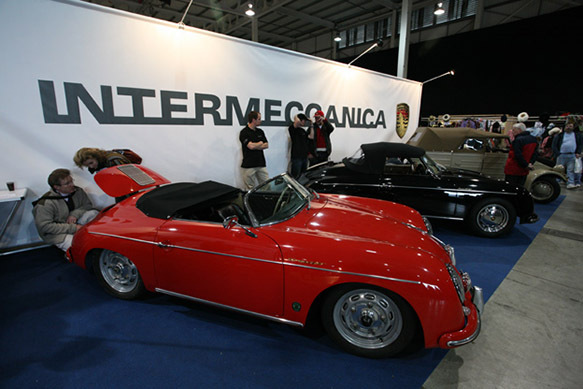 We can still get you behind the wheel of your custom built Intermeccanica for this season. If you are looking for pre-owned we can assist you in locating the perfect Intermeccanica for you to enjoy! I look forward to hearing from you and would ask that you forward this note to anyone you know who you think might enjoy reading! Please see the links below for more photos and details. This left the poor 1967 Italia abandoned and in slightly sad shape. Fast forward to last summer when our pending move motivated us to resolve this storage issue! 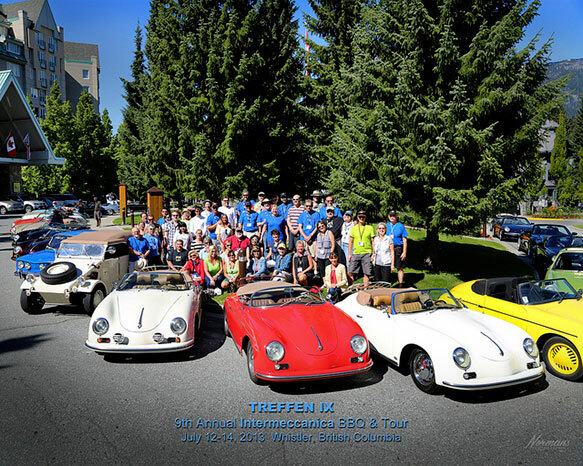 As luck would have it, long time Intermeccanica friend, sports car enthusiast and collector Gerry Sung stepped forward to purchase the Italia and to engage Intermeccanica in it’s complete restoration. This is a bit of a departure from our regular daily business as you know, but interestingly also not all that different. Over the last few months the Italia has been stripped to bare metal and is now coming through the paint preparation process. This is not a full time job at the shop but the progress is steady and very rewarding for my crew and I and we also hope for Gerry! He is now getting close to having to choose the final paint colour. I am happy to share with you the hotel booking information for our upcoming tour. Please note that to secure the hotel rate we have arranged you will need to book by Wednesday June 12th. 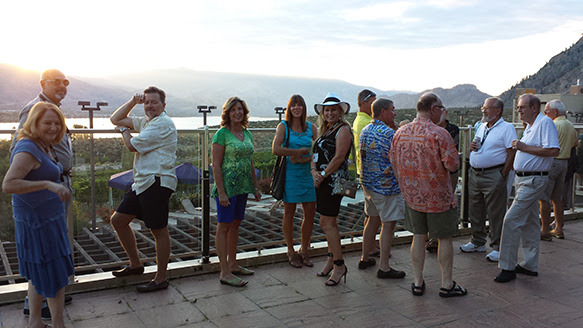 CDN$ 179.00 per room per night, based on single or double occupancy. Upgraded Deluxe Slopeside View Rooms feature a cozy sitting area and a fully equipped work station with High Speed Internet Access and Wi-Fi. Enjoy the morning sun as it rises over Blackcomb Mountain from the comfort of your spacious Deluxe Slopeside View guest room. Maximum occupancy is four people. Currently room rates are subject to the following taxes: 10% Provincial Sales Tax and 5% Federal Goods and Services Tax. or the Fairmont Global Reservations Center at 1-800-441-1414. 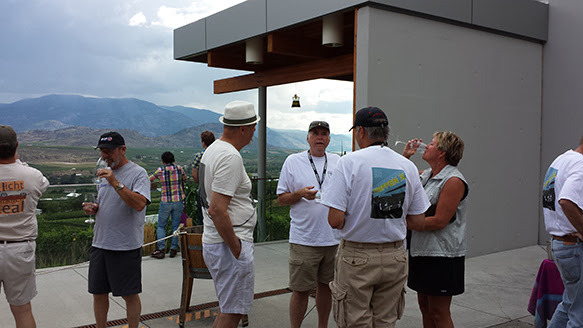 If anyone was thinking about coming before or staying after the Intermeccanica tour, the $179.00 group rate will be extended three days pre and post the Intermeccanica tour accommodation. Requests to retain rooms beyond 11:00am should be made to the Front Desk once you are registered. If a later check-out is permitted, a late departure charge may be applicable. Complimentary Highspeed Internet access in guestrooms for all Fairmont President Club members (membership is free and you can sign up at www.fairmont.com/fpc). Otherwise the charge is $14.95 per day. Valet service is also available at a rate of $39.00 CDN per night, inclusive of all taxes. Intermeccanica recived this very nice note from one of our newest owners! Thank you for your quick response. 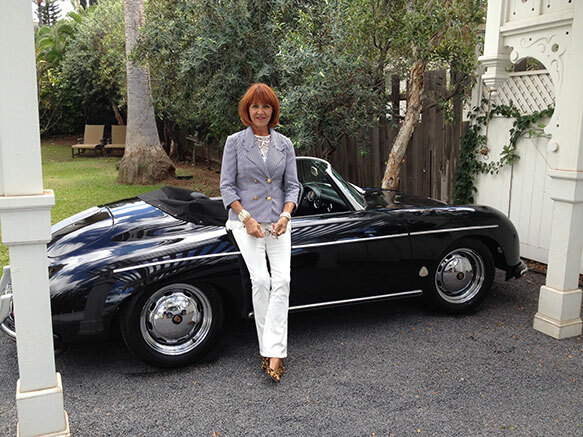 I was not kidding when I said the 356 is a ” great car “. I have a unique collection of antique cars from Austin Healey’s to Jaguar’s and the one of yours that I just purchased at B/J for $30,000 is by far the most sound and pleasurable. Most of the time I have to spend at least 10% of the purchase price to have it come up to my standards. 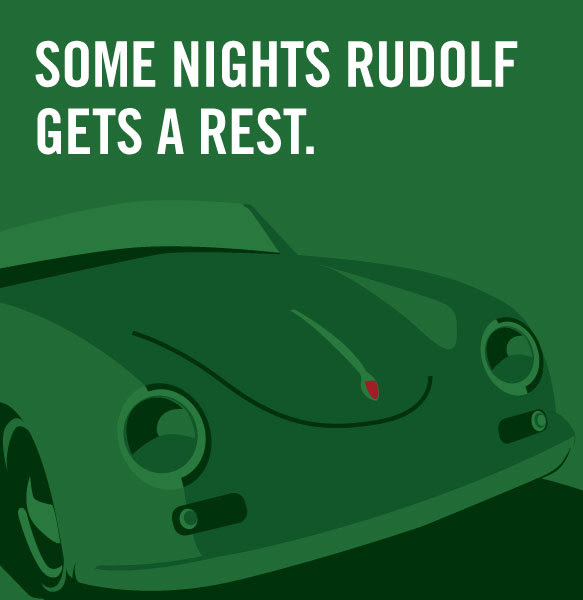 Your [Intermeccanica Roadster D] exceeded them. Absolutely nothing needs to be done. That is a tribute to your craftsmanship and to [original owner’s] care. I plan to be in Vancouver in June and would like to visit your facility. In the mean time I look forward to your offer of making contact with your company if needed. Intermeccanica has a new home! After a long and tiring week I am happy to report that Intermeccanica has moved to our new premises at 39 Braid Street, New Westminster BC. I want to thank all of our Intermeccanica customers and friends for their patience over these past weeks and in the coming weeks as we set up our new shop. We expect to be back up and running in a week or so. Our telephone number has remained the same (604-872-4747) but it is possible you might experience some delay in our response to your messages as we get our office set back up. I look forward to sharing photos of our new space just as soon as it is presentable.